One of the most important components of metabolism is the formation of energy, and nutrition is the key. Nutrients are necessary to produce energy, which is necessary to create new proteins. Nutrients necessary include carbon, hydrogen, oxygen, nitrogen, phosphorus, sulfur, and several other inorganic elements and compounds, which are supplied in carbohydrates, lipids, and protein. Oxygen is necessary to burn energy and cleanse your body of metabolic waste. To explain metabolism simply, cells use the oxygen delivered by hemoglobin in metabolic reactions, producing carbon dioxide and water. The carbon dioxide (waste) leaves the tissues through blood, returns to the lungs, and is exhaled. Respiration is the process the body uses to release energy from digested food (glucose). Glucose, combined with oxygen, creates carbon dioxide and water (as waste) plus energy. Oxygen is diffused across the cell membranes of lung tissue and sent into the bloodstream. Proteins called hemoglobin in red blood cells pick it up and deliver it to the tissues. The carbon dioxide is produced when you burn the nutrients in the oxygen and it must be expelled through exhalation. Respiration is increased as cells burn more nutrients for energy while exercising; more oxygen is necessary and more carbon dioxide is produced, therefore causing you to breathe faster. Anaerobic respiration occurs without oxygen. When glucose is burned without oxygen, it produces a substance called lactic acid. This occurs during very intense exercising, and usually during the first few minutes of exercise; when the body is working so hard, oxygen runs short. Therefore, the body breaks down the glucose (along with phosphates stored in the muscles) for energy. When lactic acid builds up, muscular soreness occurs. This type of respiration is less efficient as it uses energy substances in the muscles, but does offer some benefits as muscle endurance builds and the body increases its respiratory fitness, becoming more efficient in consuming oxygen before being forced to turn to anaerobic respiration due to lack of oxygen. Aerobic respiration occurs with oxygen. This form of respiration is much more efficient, as it breaks the glucose down completely. This produces more ATP (Adenosine triphosphate, the body’s source of energy) than anaerobic respiration, and can be maintained for prolonged periods of time, as long as the fuel (oxygen) lasts. Athletes know the point at which they move from aerobic to anaerobic respiration, known as the “threshold.” They walk a fine line between these two, in a balance between the most efficient type of respiration and the type that increases muscle endurance and helps the body improve aerobic fitness. Improving your respiration through training means that you can take in more oxygen, therefore creating more energy to sustain exercise longer. With training, the body begins to work more efficiently at getting oxygen into the blood stream and transporting it to the muscles, where it is needed for the metabolic processing of energy. A more efficient respiratory system means you are getting more air per breath so you have greater access to oxygen to be processed by the body and elimination of lactates to aid in your recovery. Respiratory Muscle Training (RMT) is being used by athletes, musicians, and others who want to increase their cardiovascular ability. This series of exercises are used to increase strength and endurance of the respiratory muscles (diaphragm, intercostals, nearby trapezoid) to improve respiration. There are several schools of thought concerned with how to go about this, with some focusing on inspiratory muscle training (IMT) and others on expiratory muscle training (EMT). The Powerlung device takes a unique approach to respiratory muscle training in that it combines both IMT and EMT in one application. As we have discovered here, it is important to improve not only the intake of oxygen to feed the muscles, but the exhalation of carbon dioxide to rid the body of waste in the form of carbon dioxide. 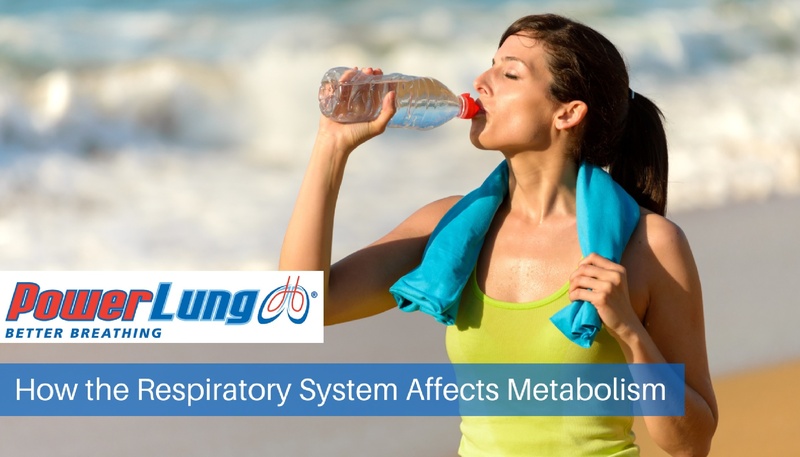 Providing resistance for the respiratory muscles to work against and overcome, the Powerlung device allows them to increase in strength and efficiency. With the option to increase the threshold, the user can continue to push themselves harder. The short workout (less then 15 minutes) can be handled at any time, and since it works the respiratory system exclusively, it does not interfere with an athlete’s training regimen or the everyday user’s schedule. To learn more about the dynamics of respiration and how respiratory muscle training can improve your performance and lifestyle, download our whitepaper Breathing Dynamics What Happens with Breathing and Why It Matters. Visit us on our website to learn more about improving your health and athletic abilities with a Powerlung device.